VTlogger is an open source (LGPL), web driven software application, that when combined with our range of telephony cards, can help you build reliable and easy to use call recording and custom call tracking solutions suitable for any sized organization and industry. VTlogger can record the audio and capture all the call details (ie. CDR) associated with voice communications across primary rate (E1/T1/J1) ISDN lines, as well as analogue trunk (ie. POTS) lines and PBX extensions. Whether you're handling hundreds of calls a day or thousands of calls an hour, our solutions are the premium choice if you are in the market for a practical, cost effective system backed by exceptional vendor support. 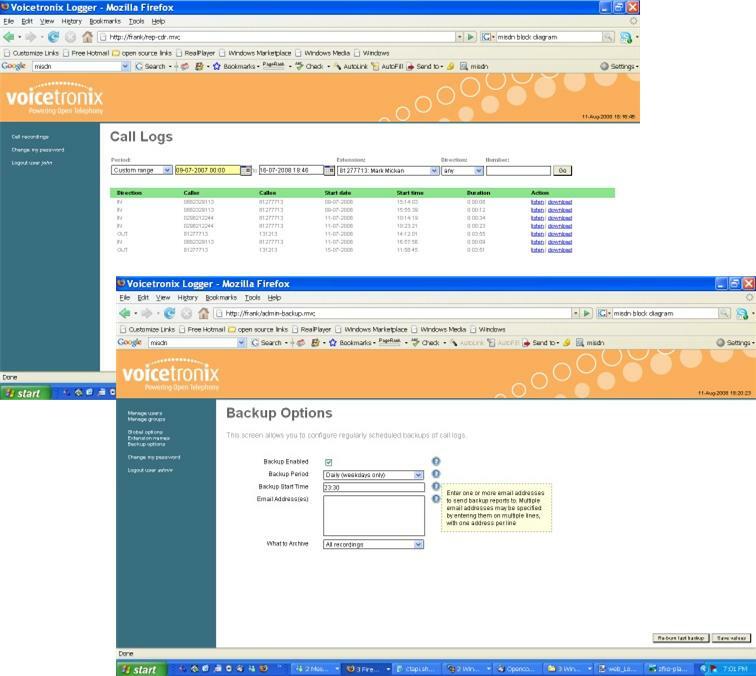 With our VTlogger software, you can build a multi-channel analogue voice logger or primary rate (E1/T1/J1) line call recorder for the price of a computer and a Voicetronix telephony card. This can equate to as little as US$50/channel for a system supporting a primary rate ISDN line. For that type of outlay, it is even far more compelling than a hosted solution. Compliance in the broking and finance industry where calls relating to transactional dealings are recorded for potential verification. Assurance against potential litigation for professional services conducted over the telephone. Performance evaluation and training of telesales and helpdesk staff. Tracking calls, when examining the performance of advertising campaigns. Improving emergency response services where calls answered are often life threatening in nature. Monitoring calls for possible illegal activities in corrective institutions. Capturing call meta data (ie. CDR details) to generate call analytics for CRM service providers. Activate, Navigate and Operate VTlogger with a Click of a Mouse! Log in to the system securely. 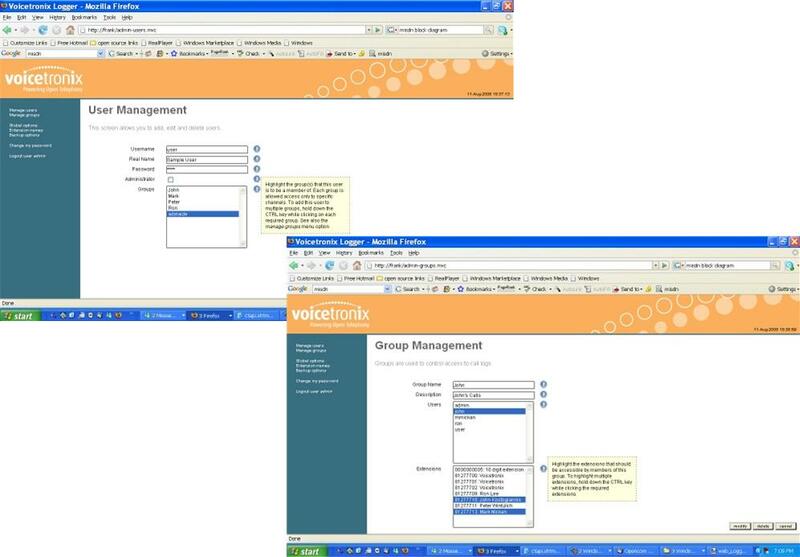 Configure system parameters including global and network options, set up users and groups with appropriate permissions. Enable appropriate users to search through call recordings and listen to them through their desktop media player. Query and display which channels or LIU ports on the telephony cards in the recorder are (or not) currently recording calls. Both party's permission to record the call and your request is denied by the other party. To take credit card details from the other party on the call. All you need is a web browser and network access to the VTlogger server. Operate, Administrate and Maintain your VTlogger remotely! How and where each call recording will be stored including what file format and codec to use. What "on disk" file format to store the call meta data (CDR), including sqlite or csv. Whether to enable streaming of live call information (JSON over UDP) suitable for call tracking applications, storing the data into external databases or CRM systems. When to activate recording, whether always, on demand or never. Which called or caller party numbers should not have their calls recorded. Voice activity detection threshold levels and run-ons used to trigger recordings in environments where there is just only audio on the line (eg. "always live" tied primary rate (E1/T1/J1) lines, stations with EDACs and audio from microphones or loudspeakers). Manually enable or disable the recording triggers. Sort, View and Listen to Recorded Conversations from your Desktop! VTlogger provides the option of searching for call recordings associated by channel number, extension number or DID number. These numbers can also be assigned names. Users can quickly search and find their particular recordings of interest by selecting the channel, extension or DID number and the period details from a drop down list or via calendars available on the Call Log screen. Once the resulting list of recordings appear, just click to download and listen using your favourite media player. Note the audio is recorded in stereo, where the caller party's audio is on one channel and the called party's audio is on the other. More specific searches can be performed on the Call Log screen by including additional call information such as the call direction and/or the caller or called party number or the minimum call duration in the search. The latter is important in sieving through calls in high volume environments, usually outbound call centres where dialers are employed to connect the agents to the called parties. E1/T1/J1 lines (ie. ISDN and CAS variants) through our OpenPRI Dual, Quad and Octal v3 PCI express cards and PRI Tap Box accessories. POTS lines (ie. analogue PSTN) via our OpenPCI series hardware. Analogue stations using our OpenPCI series hardware. Microphone/headset audio signals using our OpenPCI series hardware and Audio Input Adapter Box accessories. These interfaces are designed to not interfere with the operation of your existing communication equipment. The seamless integration of our telephony hardware range with VTlogger provides the ability to simulatenously record calls on all these connection types using a single server. Note: Connection to digital handsets usually found in keyed telephone systems (KTS) can only be supported by connecting EDAC devices between the handsets and VTlogger. Channel capacity can be increased by installing additional telephony cards (typically up to 720 channels in primary rate line environments) on a single PC server. Recordings are triggered automatically but can be overrided manually! Hook detection in analogue trunk (POTS) lines and stations. The parsing of Q.931 messages in primary rate E1/T1 ISDN lines. Voice activated (using VOX energy threshold detection). Rule-based on caller and/or called party numbers. Hook detection in analogue lines and stations is determined via voltage level changes on the line, when the handset has been taken off hook or placed back on hook. VOX threshold essentially calculates energy levels in the audio path and determines whether a conversation is in progress or not. A run on (duration of silence that needs to occur before the recording terminates) is also included to ensure the VTlogger doesn't create an unnecessary amount of call recording files during a single conversation. Note conversations invariably have periods of silence. Build your next call recording and/or call tracking system by leveraging off our hardware and software building blocks at zero software costs. If you feel you need assistance in installing and setting up your VTlogger recorder contact sales for more information on our remote installation services. We have been successfully installing VTlogger across the globe for many years now! All you need is a PC server running Linux. 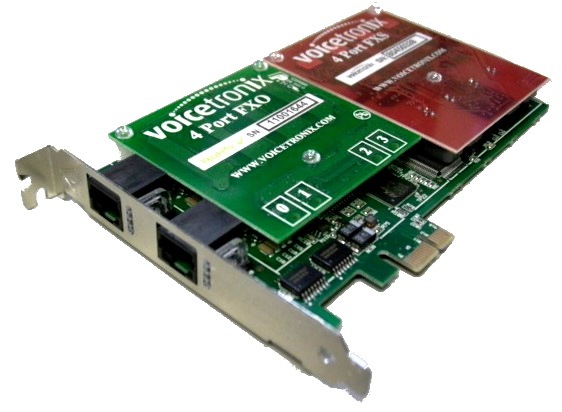 The PC server should have spare PCI express slots to install the Voicetronix telephony cards. Recording calls in stereo, thus providing a clearer distinction on who said what on calls. Better quality vs compression capabilities with the support of Speex, Vorbis and Opus. Offering rule based and on demand recording. Providing users and/or third party applications the ability to intervene and manually enable or disable audio recording and/or call information capture. Options of storing call (CDR) information in a database, csv file format, and delivering it in JSON format to an application socket. Advanced options to fine tune the process of searching and listening to calls. The ability to reconfigure a live VTlogger without interruption. The current release of the VTlogger software can be obtained freely with the purchase of Voicetronix hardware by contacting sales. The telephony hardware that support this release include the OpenPCI (Quad & Octal FXO port) boards and the OpenPRI v3 (Dual, Quad & Octal PRI port) boards. Where to tap the recordings - trunk side or station? What type of lines or station/handsets will be tapped? Other considerations should include determining which features you require from VTlogger, system limitations relating to channel capacity, disk storage and choice of back up medium. Common configurations are illustrated below. 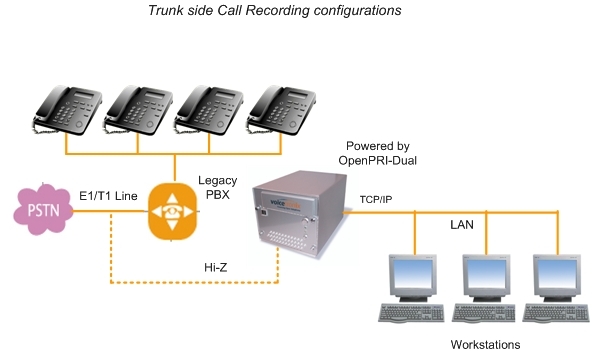 Call recording on an E1/T1/J1 trunked PBX phone system. 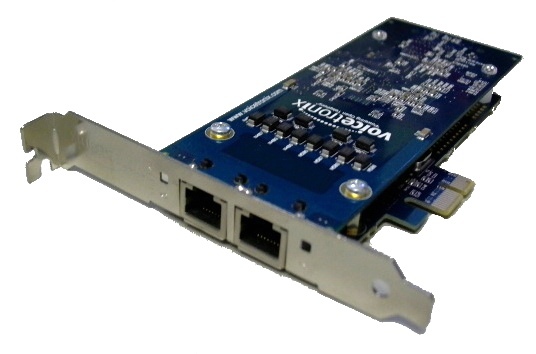 Take a PC server with the OpenPRI Dual, Quad or Octal card running Linux and connect the PRI tap box to each E1/T1/J1 port on the card, the telco line and the PBX. Install, configure and run our hardware driver and VTlogger application software. 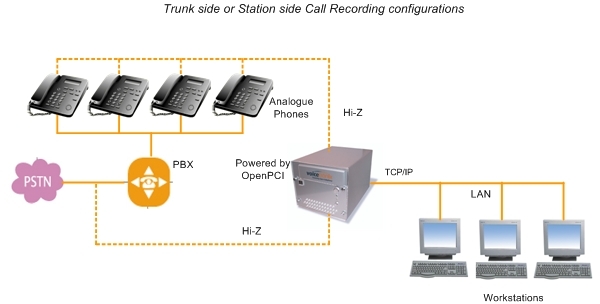 Call recording on an analogue phone system (trunk side or station side). Take a PC server with the OpenPCI-8L card running Linux and tap the card's ports to the telco trunk lines if only incoming and outgoing calls need to be monitored. If inter-office calls are also required to be monitored, then tap the PBX extensions instead of the trunk lines. Install, configure and run our hardware driver and VTlogger application software. Note: Only the tapping of standard analogue handsets is supported. Digital handsets found in keyed telephone systems (KTS) or VOIP handsets cannot be tapped using our technology directly. You need to place an EDAC between the handset (ie. speaker & mic) and our card or use a Trillium adapter in combination with our Audio Input Adapter and card. Build your own custom solution by purchasing our telephony hardware and installing our freely available open source software. Purchase and install our telephony hardware in a PC server running Linux and then engage us to remotely get your solution operational. Ask us to develop a custom call recording/tracking solution. Please contact sales to assist you further in determining which telephony hardware, purchasing and deployment option best meets your call recorder needs. The minimum system specifications below are based on what we provide in our pre-configured servers as standard. CPU/Speed Intel Core i5, AMD equivalent or greater. Memory(RAM) 4GB (or at least 1 GB per core). MOBO/Backplane Supporting 3.3V Power supply, PCIe bus. HDD 1TB+ SATA III (depends on channel capacity & storage requirements). Operating System Linux kernel 2.6.32 or later. Limited by the number of free PCIe slots in the server and the telephony cards used. Analogue trunk lines or stations up to 48 channels using OpenPCI-8L cards. Primary rate lines up to 720 channels (ie. 24 x E1, T1 or J1 lines) using OpenPRI Octal cards. The primary constraint and key to performance for high density call recorders is ensuring sufficient disk bandwidth for the maximum number of simultaneous calls that may occur. Recording capacity 4000 calls per minute. Trunk Interface Digital and analogue network interface. Digital Trunk Types E1/T1/J1 ISDN, E1 and T1 CAS. Physical Connection High impedance (Hi-Z) through PRI Tap box (4 x RJ45 connectors). Analogue Trunk Types Loop-start and station. Audio Line level Types Microphones, speakers, radio feeds. Physical Connection 1/4" (6.5mm) phono jacks via our AIA device. Caller ID detection on hook detection, FSK, DTMF & MF detection. DTMF detection 0-9, *, #, A, B, C, D.
MF detection 0-9, SIT tones. Audio codecs Mu-law, A-law, 16 bit signed Linear, Opus, Vorbis and Speex. Record Hook Detection, rule based, software configurable VOX. Terminate Hook Detection, rule based, on-demand, software configurable VOX. E1, T1 and J1 lines OpenPRI - Dual, Quad & Octal PRI port cards. Analogue trunk lines OpenPCI-4L & OpenPCI-8L, Quad and Octal FXO port cards. Analogue stations OpenPCI-4L & OpenPCI-8L Quad and Octal FXO port cards.